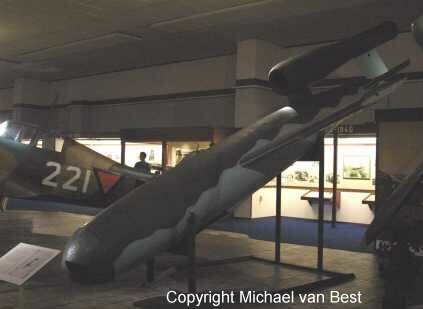 Stampe & Vertongen Museum at Antwerpen Airport, owned by the City of Antwerp. 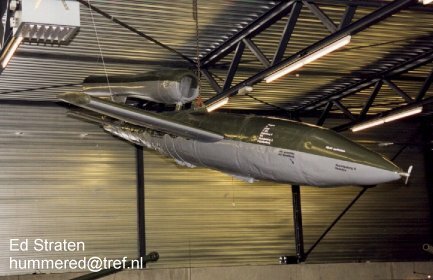 Might have been on display at Wilrijk before. 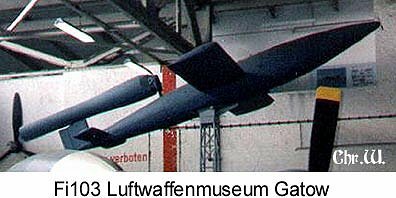 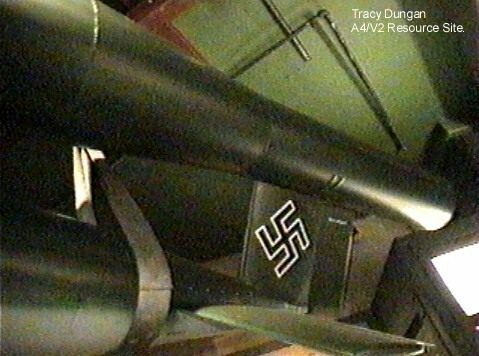 A closer inspection has shown that it is an unusual B-2 version (Reichenberg version as previously stated). 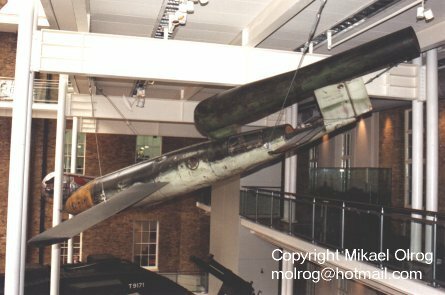 IWM Duxford, on loan from RAFMm ex Cosford. 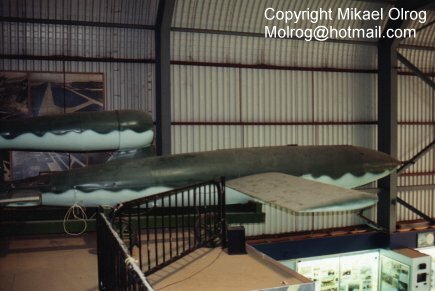 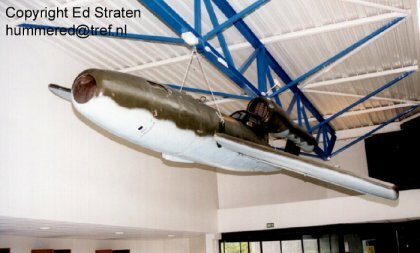 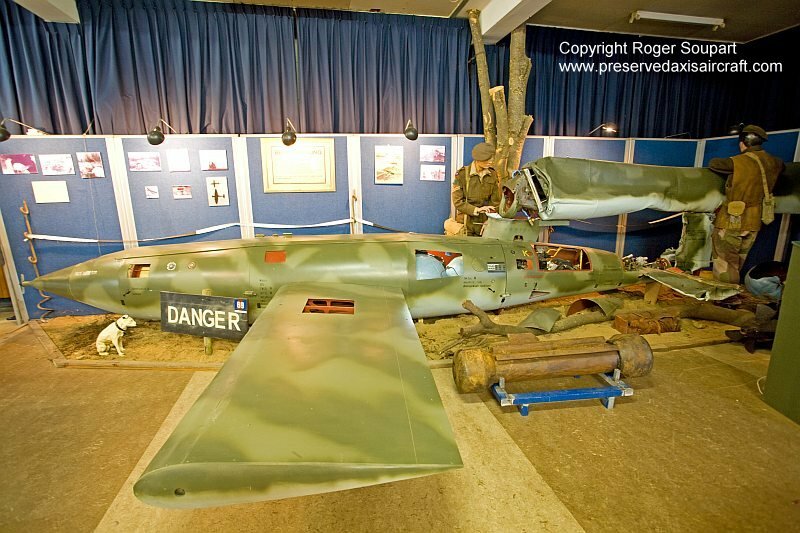 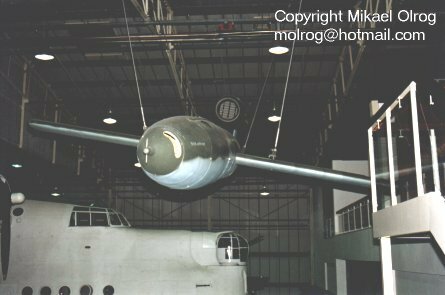 Deutches Technikmuseum, Berlin, ex RAFM Hendon, swapped for fabric for the restoration of RAFM Fokker DVII. 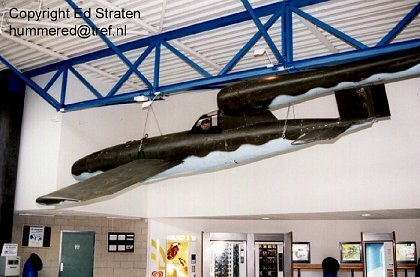 Aviodrom, Lelysatad, previously with Schiphol, Amsterdam, Confirmed replica. 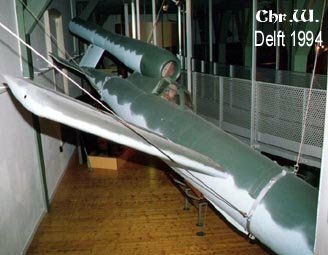 DEAG Museum, Deelen AFB. 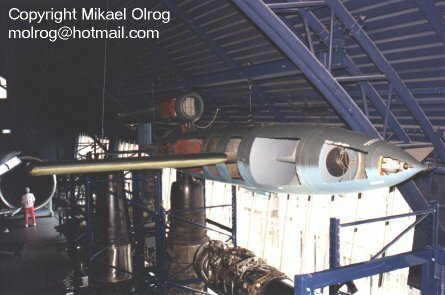 Mostly restored original parts with some replica parts. 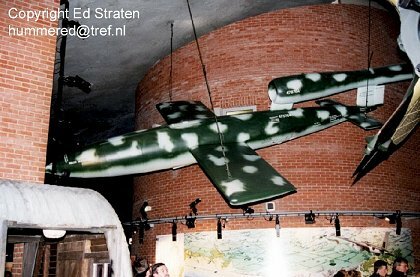 Recovered surprisingly intact from crash site. 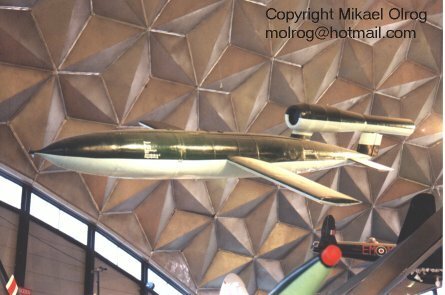 Tekniska Museet, Stockholm. 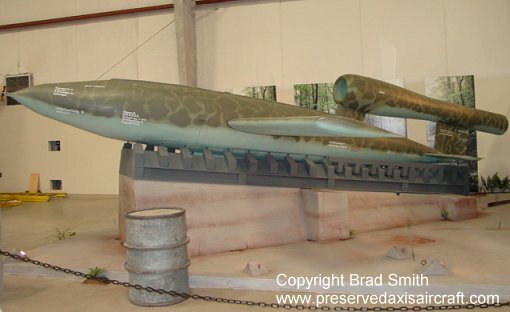 See relic section of missiles for more photos. 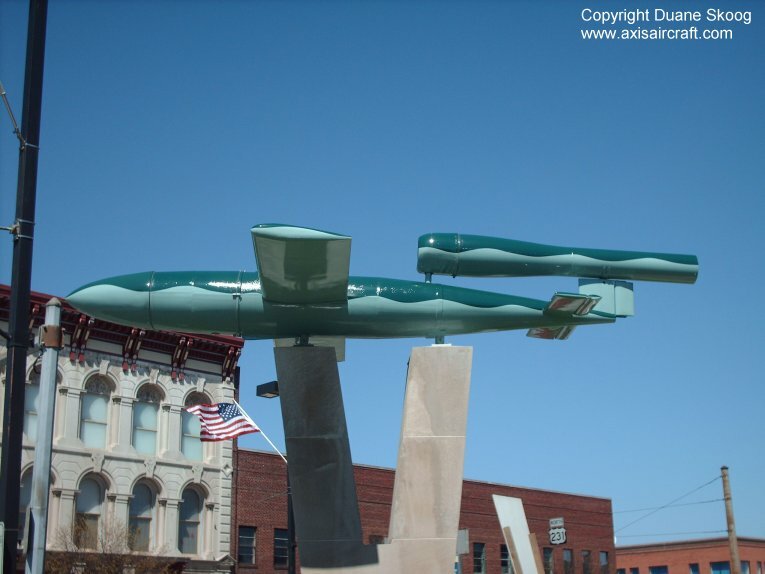 Kansas Cosmophere and Space Center, Hutchinson. 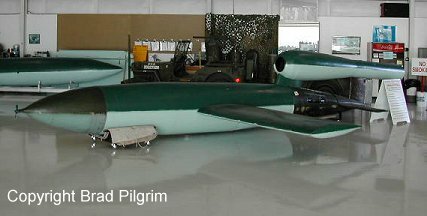 Pima Air & Space Museum from 2005. 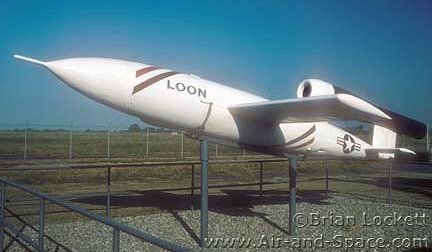 Previously with The National Aeronautical Collection of Canada. 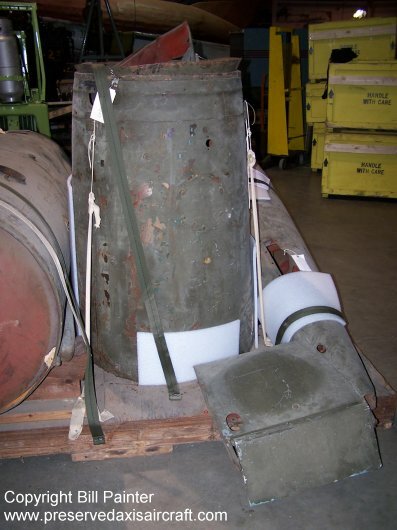 Previously listed a in storage with USAFM. 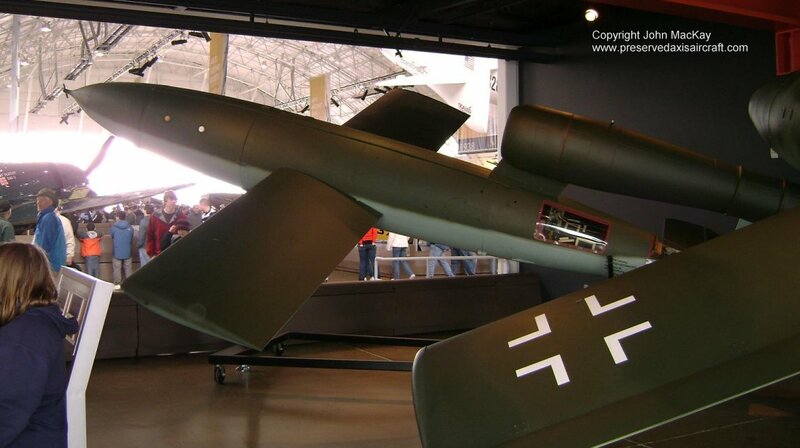 Flying Heritage Museum, Seattle. 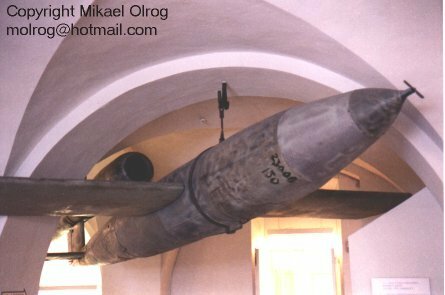 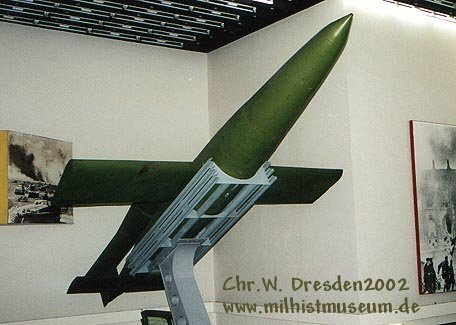 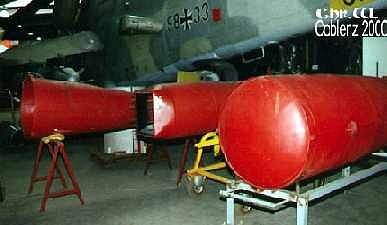 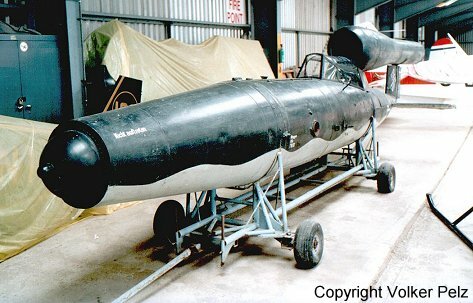 Very little is known of this missile but it is probable that it was rebuilt by acquired remains. 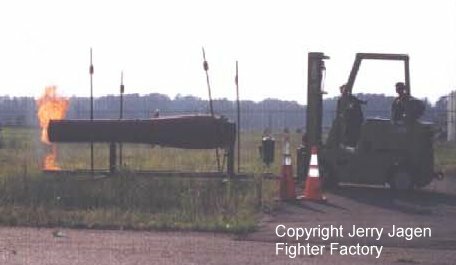 Fighter Factory, Suffolk, VA The engine of the V1 is in running condition. 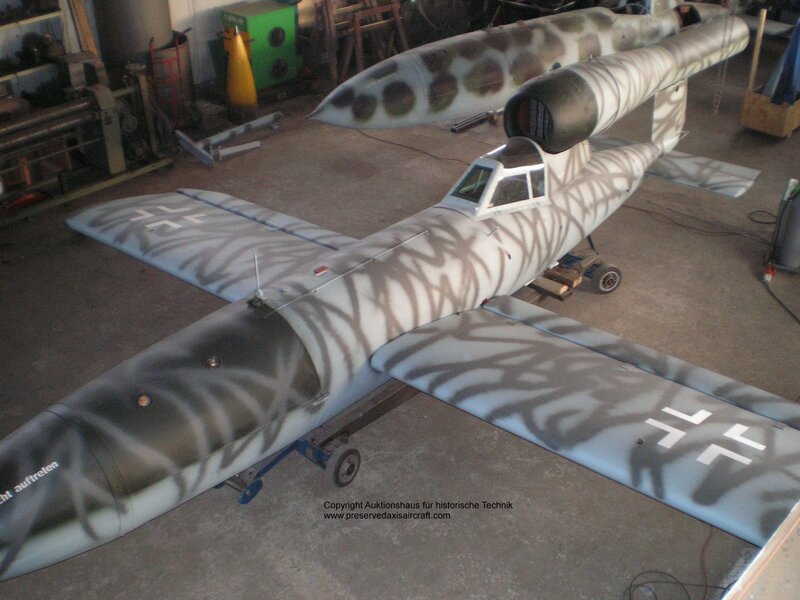 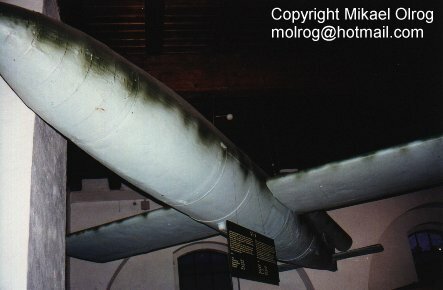 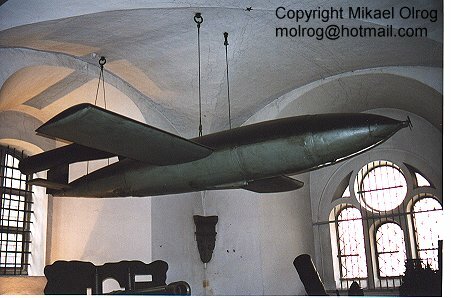 This V1 was reconstructed/restored from parts recovered from the Nordhausen complex during the 1990's. 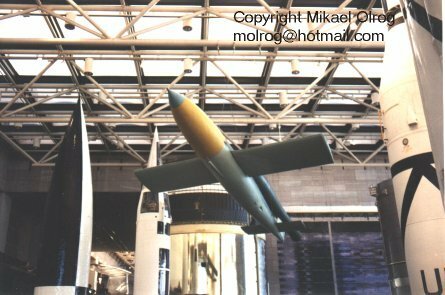 Olympic Flight Museum, Washington previously with AMJET Corp, Mn, Replica containing ca 20% original parts. 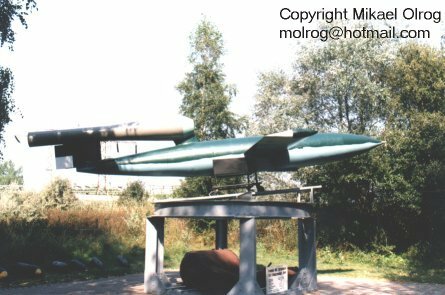 This missile have an artistic installation made by Holger Bull from Germany. 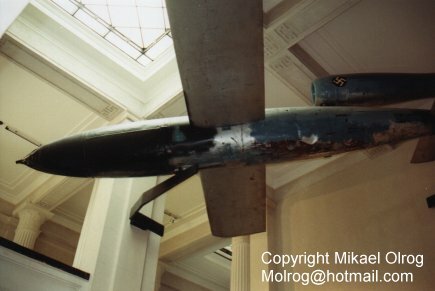 The installation is a memorial for the victims of the V1. 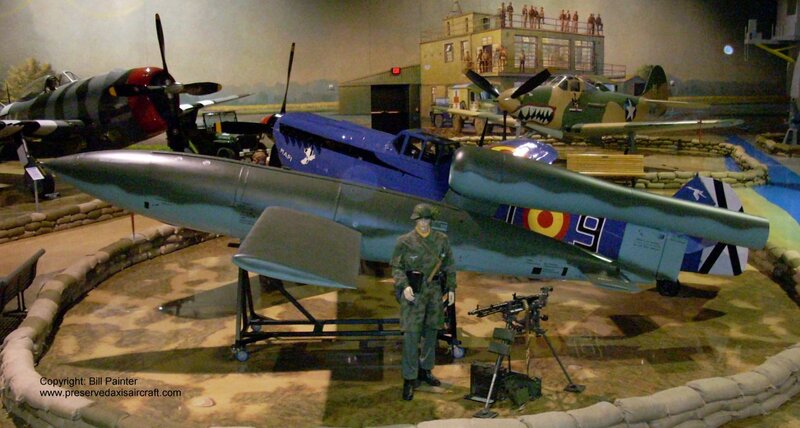 Air Zoo Museum, Kalamazoo, MI. 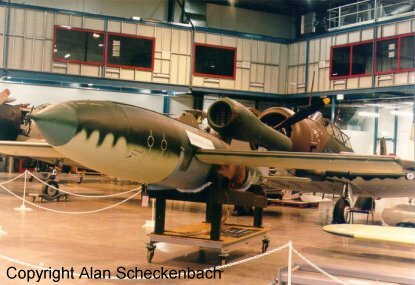 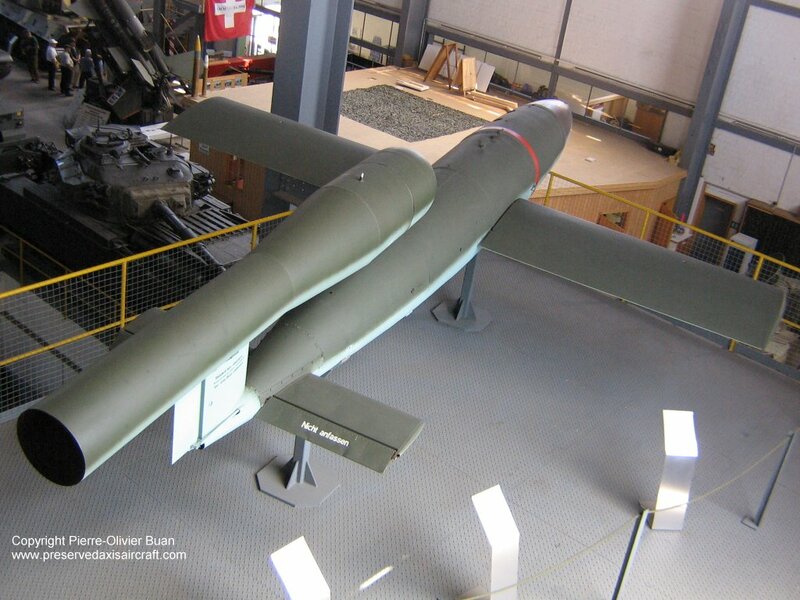 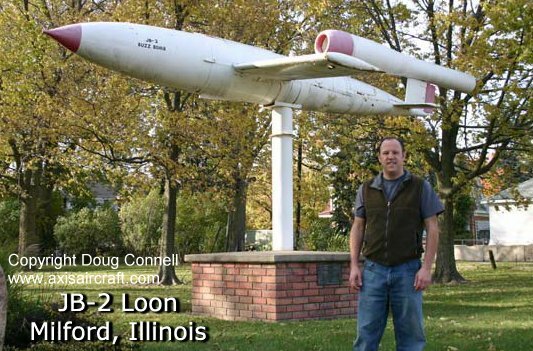 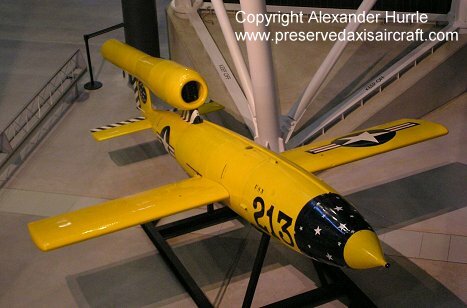 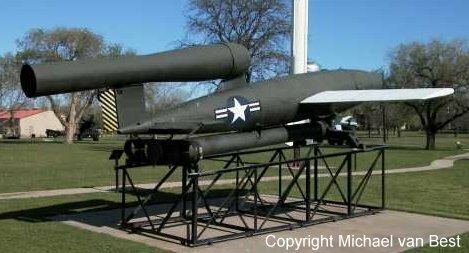 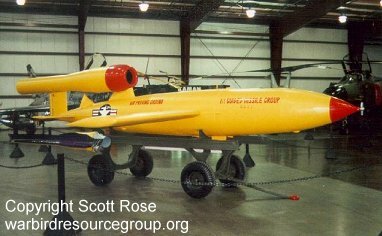 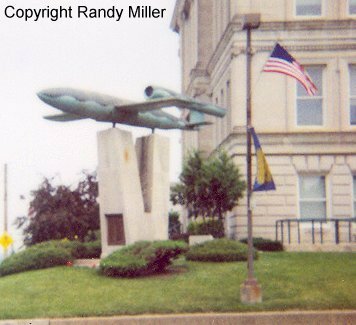 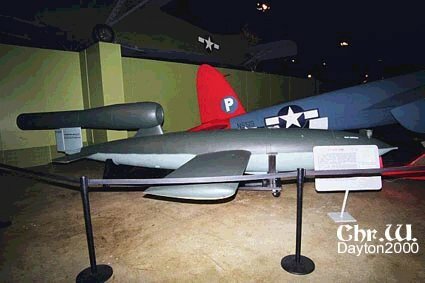 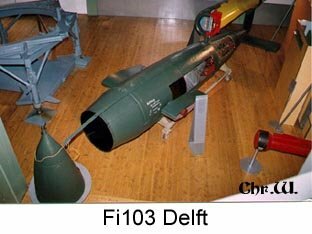 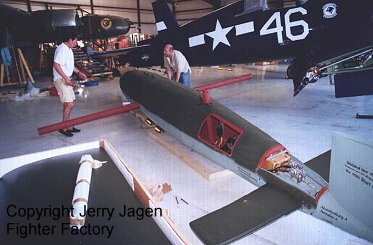 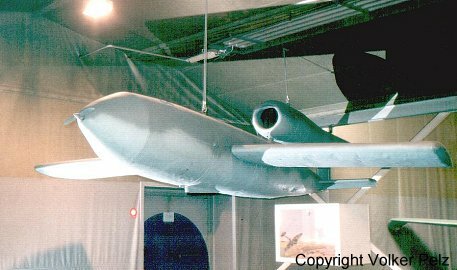 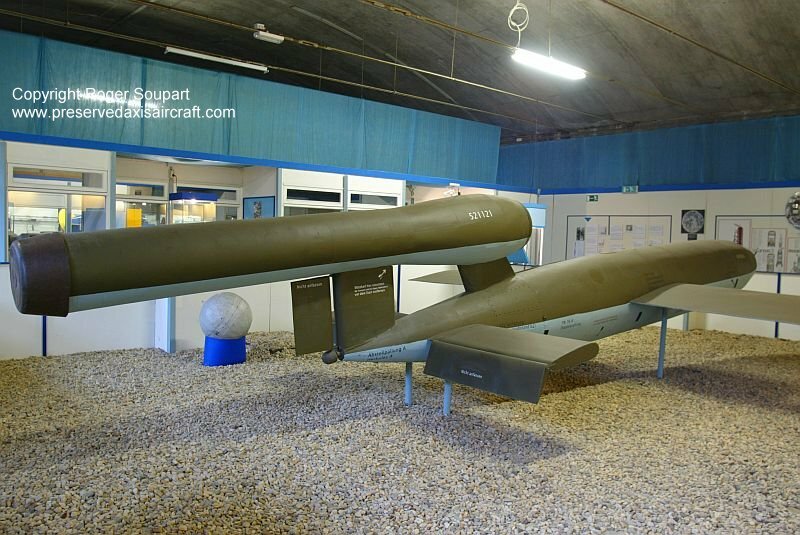 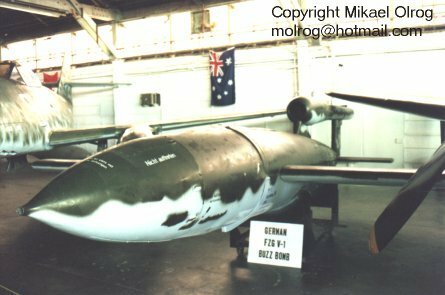 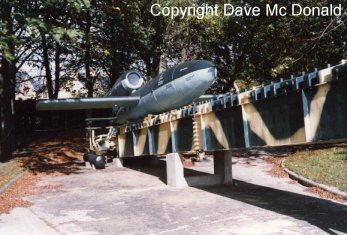 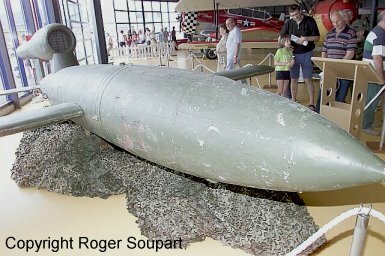 Parts from three different Fi 103 missiles has been placed with the Air Zoo Museum on long term loan by NASM. 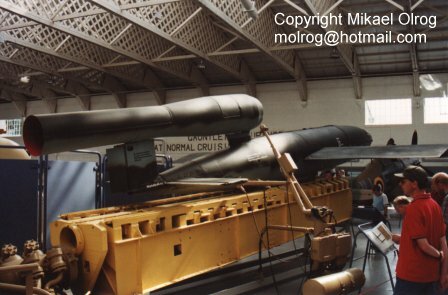 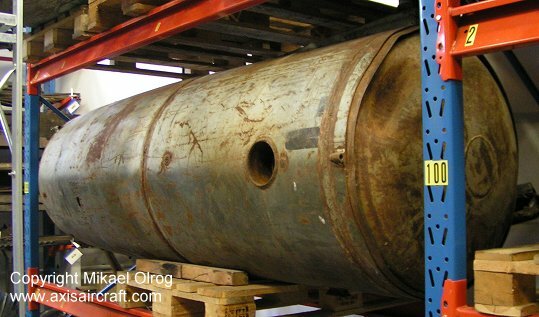 The parts are sufficient for the restoration of one missile with some newly made parts too. 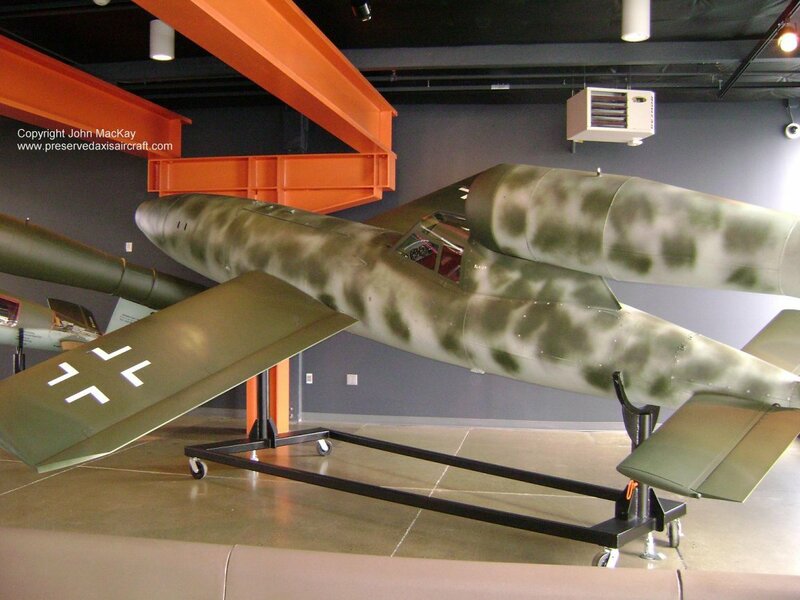 Flying Heritage Museum, Seattle. 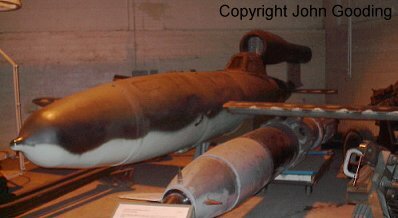 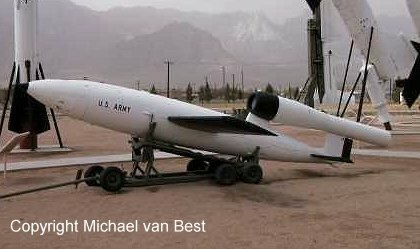 Very little is known of this missile but it is probable that it was rebuilt by acquired remains or it might be one of the other missiles listed on this page. 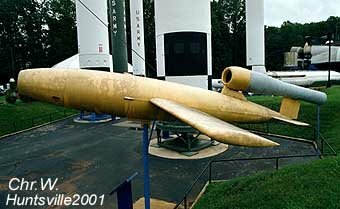 Olympic Flight Museum, Washington AMJET Corp, Mn, Replica containing original parts. 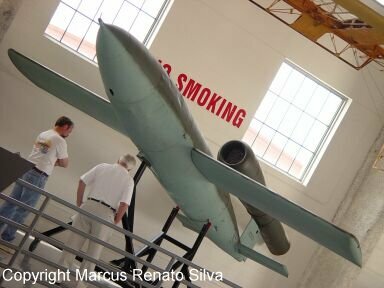 Fort Sill, Artillery Museum, OK.
Hill Aerospace Museum, Roy, UT. 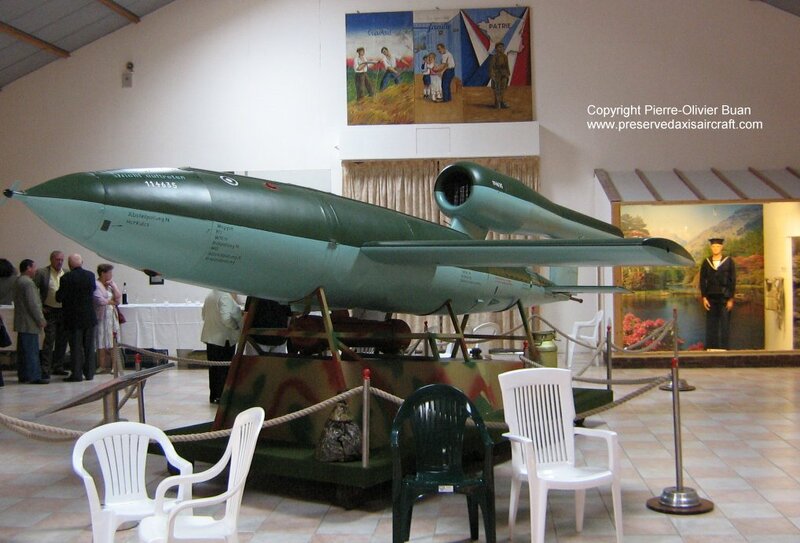 Point Magu Naval Air Station, CA.